Newly post-QE second years (3 for 3!!!) 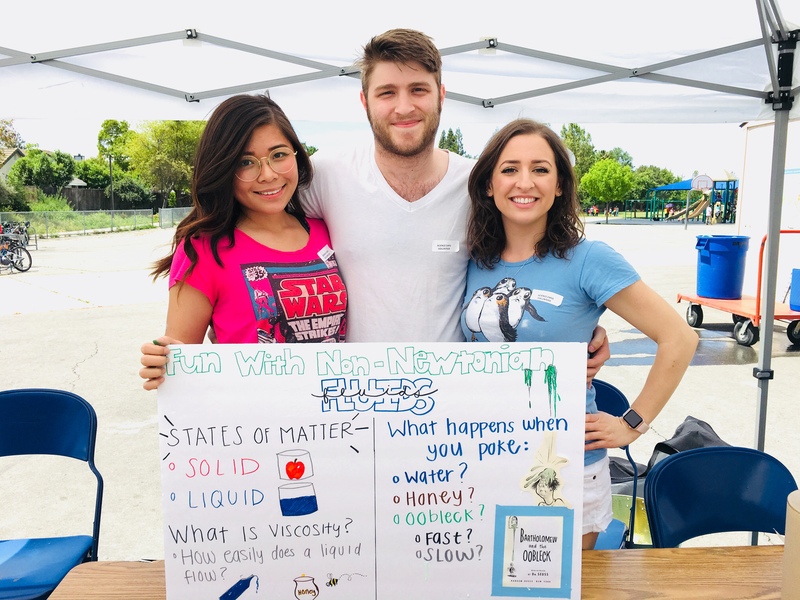 Shaw group members Nina Howard, Anna Lo and Lucas Souza spent last May the 4th demonstrating oobleck to 4-6th graders at Marguerite Montgomery Elementary school! That’s one way to celebrate a graduate student milestone. Oobleck is a non-newtonian fluid made out of water and cornstarch. With a little help from green food coloring and Dr. Seuss, the demonstration was a huge hit with the kids!